You've had a good day of salmon fishing and got yourself a couple female salmon that are full of eggs. You don't want to waste any part of the fish and everyone knows that salmon eggs are great bait for everything from trout to sturgeon, steelhead and salmon. 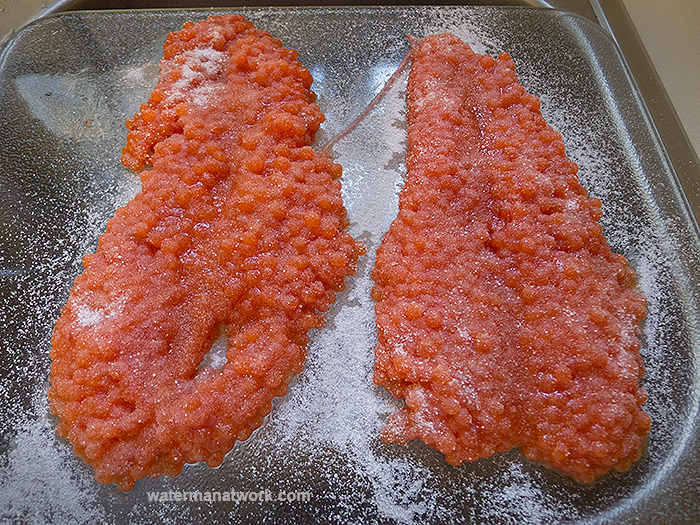 In this video, we will show you an easy and inexpensive way to cure salmon eggs that will preserve them for future fishing trips. To preserve the salmon eggs, we are going to use the "3-2-1 Cure". This is a simple and time tested way to cure the eggs. The "3-2-1 Cure" is three parts Borax, two parts sugar and one part common table salt. You can buy all these simple, inexpensive items at the grocery store. I usually make a batch of the cure and keep it in a glass jar so I don't have to measure it out every time I need it. 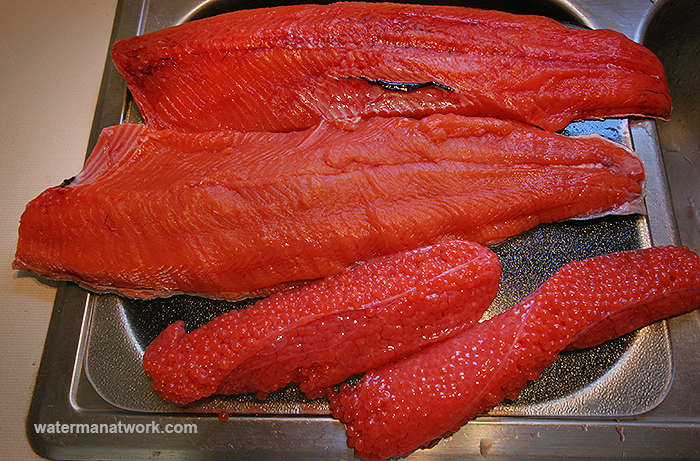 When you are cleaning your salmon, it is very important that you do not get water on the salmon eggs. 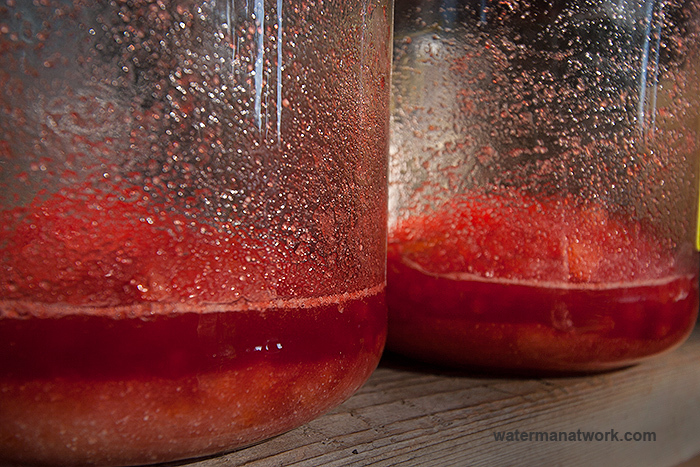 Salmon eggs are activated by contact with water, if you get them wet, they will be ruined. 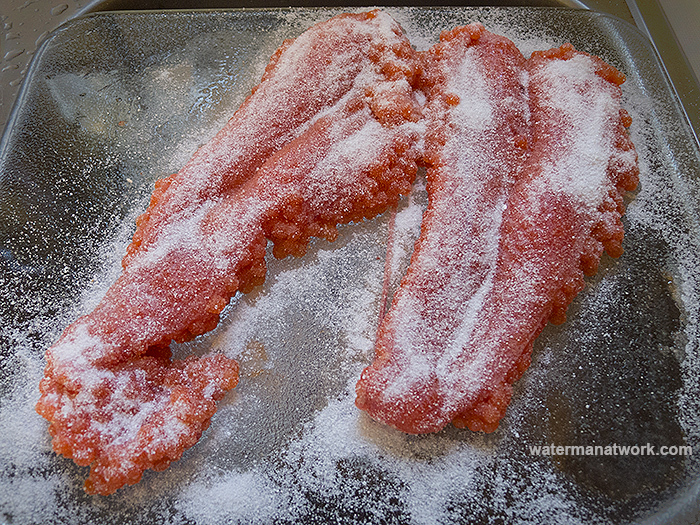 After cutting the salmon open along the belly, gently remove the egg sacs and place them in a dry spot. 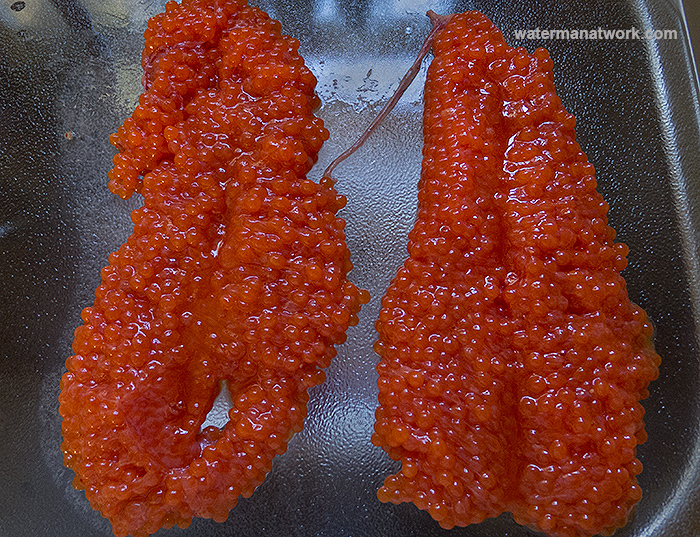 Salmon eggs are held together by a thin membrane called a "skein". To make the curing process more efficient, lay the egg sacs skein side down and use a sharp knife to make a cut down the middle of the egg sac. Do not cut all the way through and do not cut the skein. We want to open up the egg sac so the cure can get to all of the eggs. Sprinkle the cure on the egg sacs. Don't use too much, just enough to cover all of the eggs. Gently turn the egg sacs over and sprinkle the cure on the other side of the egg sacs. 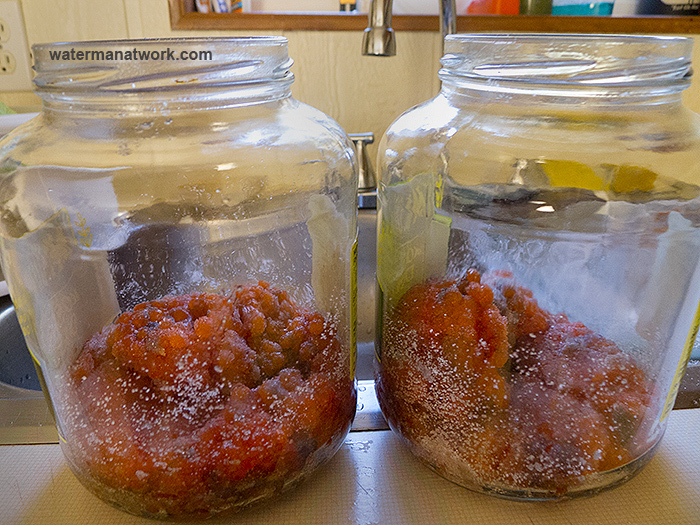 Place the egg sacs into glass jars. Gently roll the eggs around inside the jar to make sure the cure gets to all of the eggs. After a short time, the eggs will start to "juice". This is the time to add your "secret" ingredients. You can add commercial scents, bite enhancers or dyes. To color the eggs, you can add a little bit of orange or red jello. Continue to roll the eggs in the juice. If you want firmer eggs for casting and drifting, you can drain some of the juice off. Let the eggs sit until all the juice has been absorbed into the eggs, usually about 12 to 24 hours. When all the juice has been absorbed into the eggs, they are ready to use. 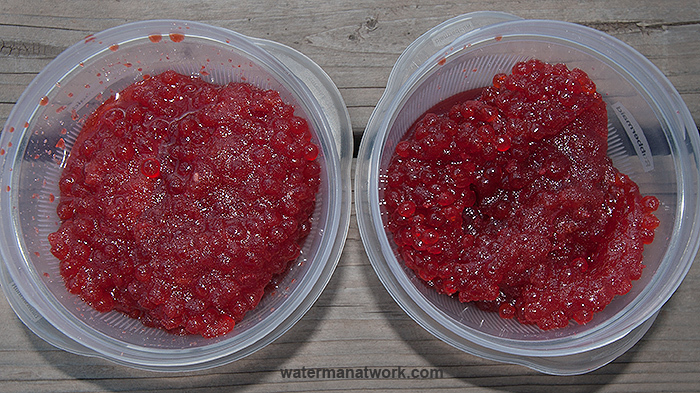 I usually store them in glass jars in the refrigerator, where they will easily keep until next season. You can also vacuum pack and freeze them. If the eggs aren't firm enough for you, add a little more borax.